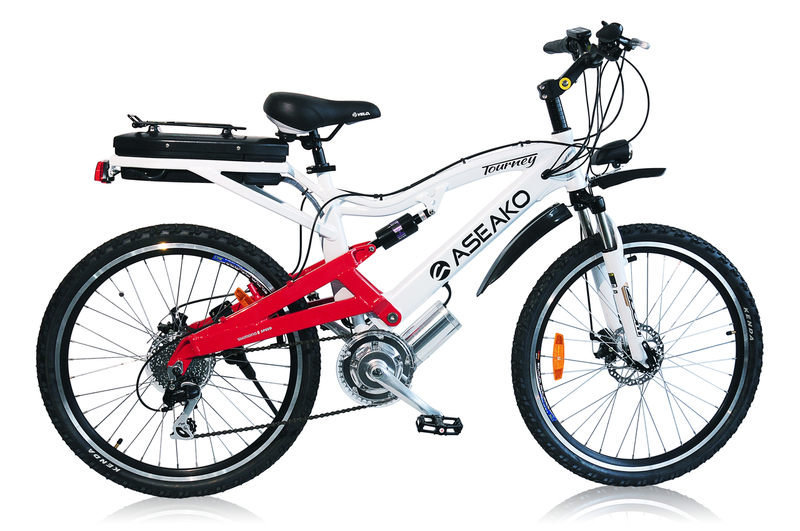 BlogHome » Blog » Purchasing Electric Bikes » Would you like to buy an Electric Mountain Bike? So you are looking to buy an Electric mountain Bike? Is this bike going to be ridden off road at all times, or a bit of a mixture? 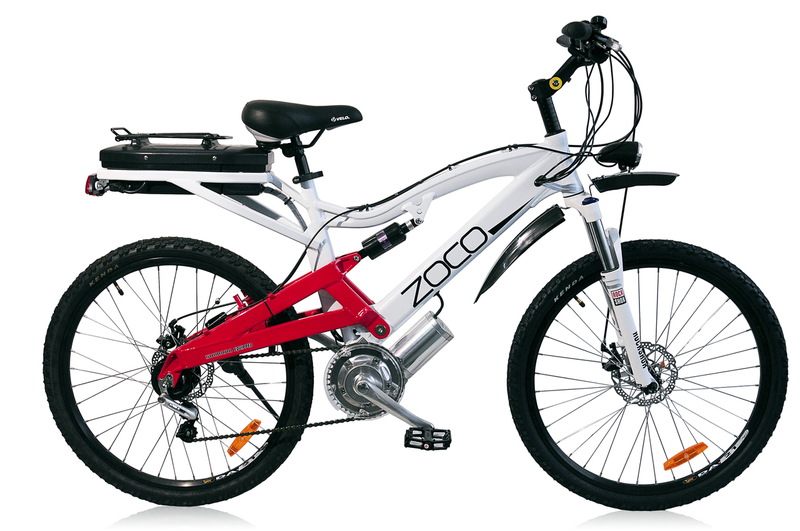 Let me introduce you to the Zoco 500W Xtreme Electric Bike – yes the 500W technically means this electric bicycle is not legal on the public roads, hence why we sell it as an off road Electric Mountain Bike. As you can see there is no real way of telling this electric bike is 500W except for the small markings on the motor cap. 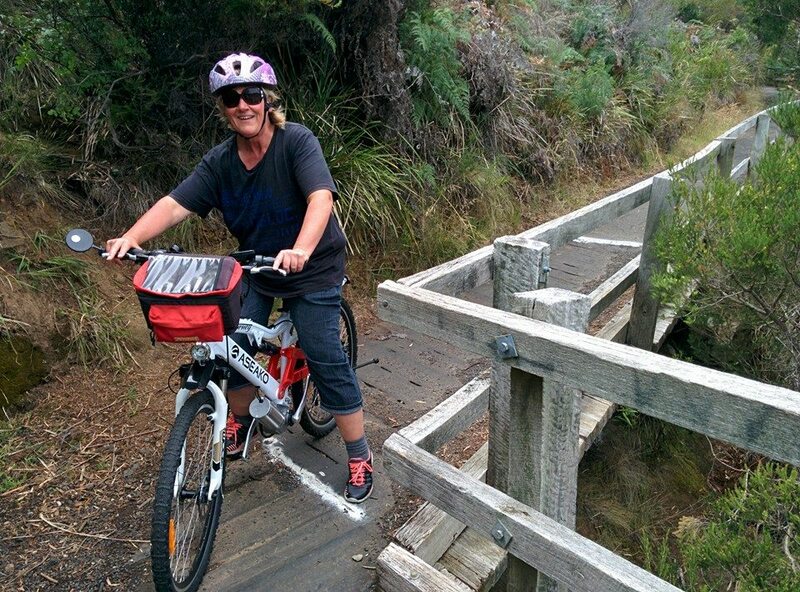 Electric Mountain bikes are a great idea, as the power and torque of the electric bicycle can really help you climb those steep off road tracks with ease, especially at 500W. Combine that with the extra torque created by our Central Drive System and you have a real beast to help you climb those steep hills. When looking for your Electric Mountain Bike, you should be looking for a bike with front and rear suspension, to help take all the shock out of the many bumps that are likely to be on the off road terrain. You may also want to upgrade your tyres to a kevlar type tyre which has puncture proof protection. This is crucial for off road riding as there are many sharp objects just waiting to puncture your tyres. 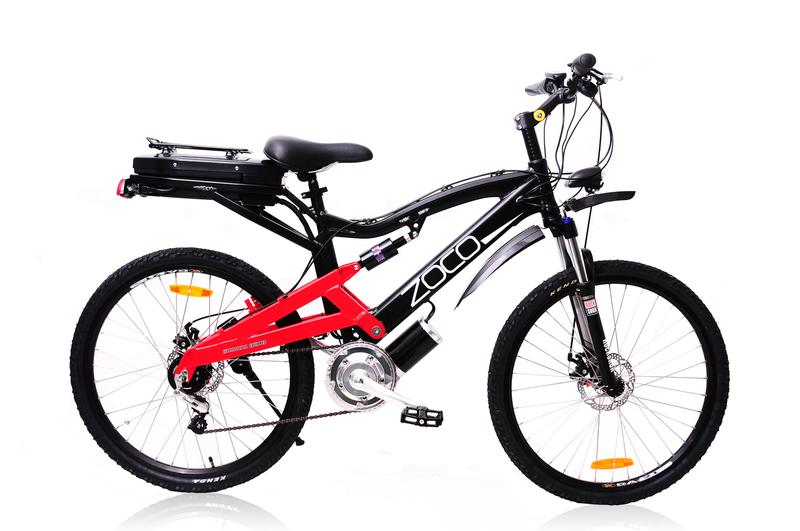 So if you are in the market for a powerful electric mountain bike then be sure to cast your eye over the Zoco Xtreme 500W Electric Mountain Bike as you sure will be impressed with its style, power and performance, let alone the wholesale pricing that is attached to the bike. next post: Who Buys Electric Bikes?